Another mobile wallet for Aion, currently only available for Android devices. Another Rig monitoring App for Android is now available from Check Pool, we thank you! Rig monitoring App for iOS is now available, we thank Rob Enriquez! We here at AionPool.tech would like to thank our loyal miners for being part of our community within a community. It is a pleasure for us to work with each of you, many of you on a one on one basis. We strive to provide not only a high end, stable mining pool, but also our support is rivaled by nobody else in the Aion mining community. We enjoy providing support to the community it needs and it shows through the feedback we receive. One topic that we must convey is the expenses involved in providing these services. We have operated at a loss since we started. Some of you may not understand this, but some of you will. Nobody is getting rich running an Aion mining pool. Truth is, we finance the operation of the pool out of our own family's budgets, because of this, after careful consideration and in observation of other pool's fees, we have decided to increase our pool's fee to 2 percent. We thank you for being with us and hope you will continue to support our pool. ***Note You need to be mining on our pool to be eligible. New server in US/Virginia added to our cluster expanding our setup to 4 stratum servers in NA(US&CA), EU(Germany) and ASIA(Singapore). Offering our miners lowest latency and highest redundancy! Plugins updated to the latest versions. Other bug fixing and under the hood improvements! Rig monitoring App for Android is now available, thank the guys over at Mining Observer! Live chat widget added for miners support. Christmas theme - Happy Holidays! GMiner added to list of available Aion miner programs. Magnum Light Web Wallet added to our list of available Aion wallets. 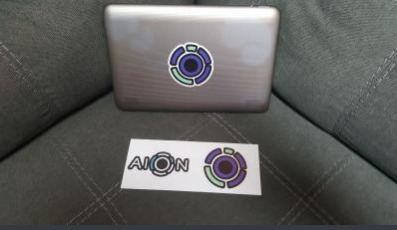 We are holding our 2nd Aion sticker giveaway. All you need to do is head over to our Discord channel and then the "Suggestions" channel, read the post made by @BasZ - (Pablo Cryptobar) posted November 11th and post your info. Please post your info in the format suggested. Once you have posted your settings/info, you will be entered into the draw. The draw will take place November 23rd at 12:00pm EST. ***Note You also need to be mining on our pool to be eligible. We at AionPool.tech are pleased to announce that we will be offering a 0% FEE on our pool for this years holiday season! Seems the Halloween Goblins scared the fees away! No tricks, only treats! Seriously though, We have been very fortunate and have achieved much success thanks to the Aion community. Because of this, We feel that it's time to show our gratitude by giving back. What better time than this years Holiday season? ENJOY the FEE FREE HOLIDAY SEASON! Experience The Best Place In The Space! Due to the anticipated growth of the Aion Network and our commitment to support all Aion miners with the best connection possible, we have expanded to support miners in all regions of the world. With our new cluster configuration, any miner from anywhere on the planet simply needs to use the one stratum address and will automatically connect you to our closest stratum server in your region. This also means if the stratum server you connect to were ever to fail, you will automatically be redirected to the next closest stratum server and keep mining with no down time! That said, please add all of our stratum addresses to your miner command as back up stratums for that extra piece of mind. We are growing folks! What started as a one man show, we now have three pool operators/partners from three different countries. Each of us bring different tools and technical know-how to the table. I welcome ICYu2 and KryptoZ and together, this pool will become one of the best out there! It's time for a fun little giveaway to reward our loyal miners. The prize is a pair of Aion stickers to the winner of a random draw that will take place on Friday, October 19th at 12pm EST. All you have to do is simply be an active miner in our pool. We will enter all addresses mining at that time into the drawing. The winning address will be posted on our Discord and Telegram channels and will have 72 hours to claim the prize by private messaging either ICYu2 or Yashnik. It's a small prize but we do not make money running this pool. At some point, if all goes well in the future, we will explore other opportunities for giveaways. We thank you for your continued support!